Exclusive! Poor Millennials - growing up in the age of the internet means every silly move is on an "e-record" somewhere! 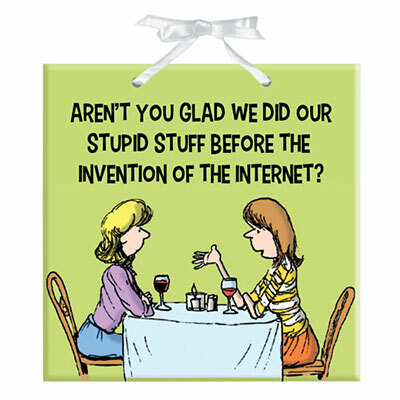 Show your relief in keeping your past mistakes solely in your memory with this hilarious ceramic plaque. Includes polyester satin hanging ribbon. Imported. 6" sq.